Millions of resource-poor farmers in stress-prone areas in Myanmar can cope with the effects of climate change by cultivating high-yielding stress tolerant varieties and diversifying food and income sources. There is a pressing challenge to help farmers to better withstand or recover from natural disasters and the threats of climate change. In the past 10 years, the country has experienced severe drought, flooding, and cyclones with increased frequency and duration. With the support of the United States Agency for International Development (USAID) and national partners in Myanmar, IRRI through the Stress-Tolerant Rice in Vulnerable Environments (STRIVE) project, improved the ability of vulnerable smallholder farms to recover from natural disasters. No single organization can do everything to be successful and innovative. While IRRI is at the forefront of boosting rice productivity globally, there is an alarming challenge of producing nutritious and high quality rice in an increasingly scarce resource. The complex situation of poverty and food security calls for more strategic research for development initiatives that is reinforced through public and private sector collaborations. During the IRRI Science Week, IRRI scientists and staff gathered to discuss the challenges and key drivers in public-private partnerships that will help the institute widen its global impact. 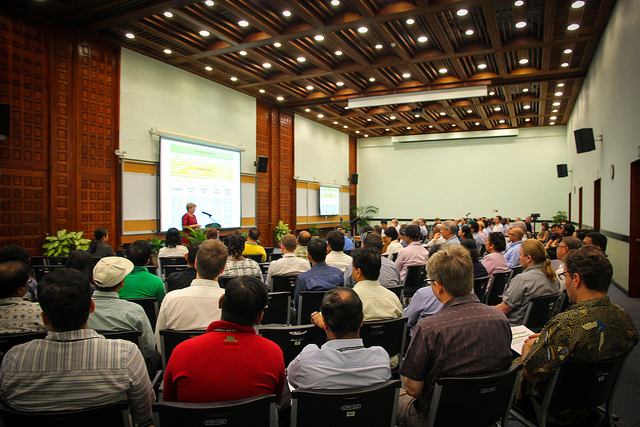 IRRI, as an honest broker in rice, continues to engage with global research for development partners. Private companies are an important component of such partnerships. More importantly, public- private partnership creates synergy among different actors that enables taking technologies to farmers’ fields, so everyone can reap the best returns. Making safe and nutritious rice accessible to the consumers who depend on it for nourishment and at the same time growing rice that is profitable for farmers who rely on it for their livelihood is a shared responsibility of all actors working within the rice based agri-food system. But current institutions and policies are no longer equipped to adequately address this challenge and require system-wide shifts in priority areas. In the past few years, to address some aspects of this multifaceted challenge, the International Rice Research Institute (IRRI) has been conducting value chain research exploring consumer behaviours and preferences as entry points to making rice inclusive, sustainable and capable of meeting global food security and nutrition challenges. At the Value Chains and Policies session of IRRI Science Week, presenters reflected on how the institution’s initiatives contribute to improving the rice value chain within the countries it works in. 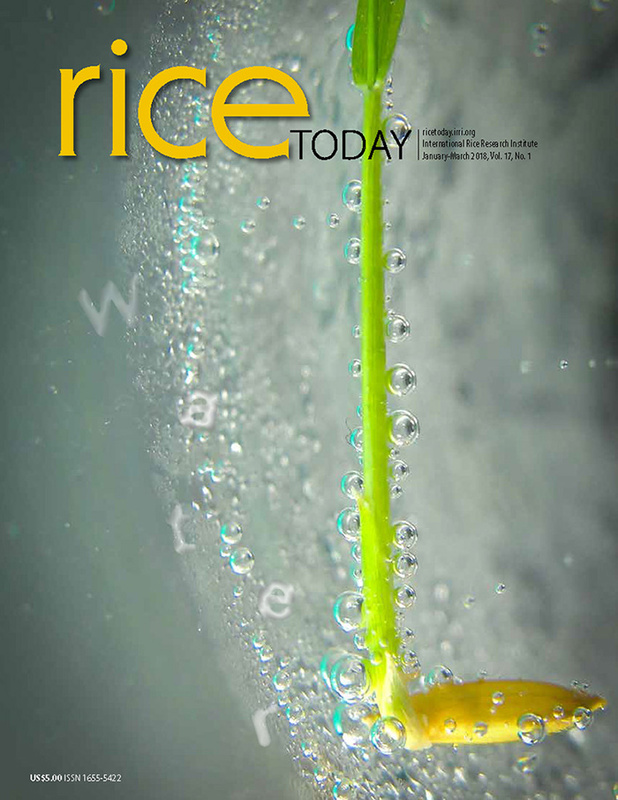 Ongoing work on consumer valuation of sustainable rice production, as well as product profiling and forecasting of appropriate rice varieties, demonstrate how robust data can help identify emerging markets and enable rice value chain actors to address these markets’ needs as well as opportunities. Research on the sociocultural and economic factors behind household food consumption, the impact of climate change on rice production, and new mechanization and post-harvest technologies examine different drivers of change that can catalyze the transformation of rice-based value chains. A key learning across all these research programs was the need to influence policies to ensure sustained systemic change and large scale impact, particularly in terms of making all aspects of rice production more inclusive, more nutritious and more sustainable. (IIAM), and the World Bank funded project Agricultural Productivity Program for Southern Africa (APPSA) explore opportunities to collaborate in the establishment of the Regional Center of Leadership (RCoL) for Rice. APPSA is a World Bank project focused on improving agricultural technology generation and dissemination in the Southern Africa region. Currently, the project is implemented in Malawi, Mozambique and Zambia, and other countries in the South African Development Community region will join as the project expands. 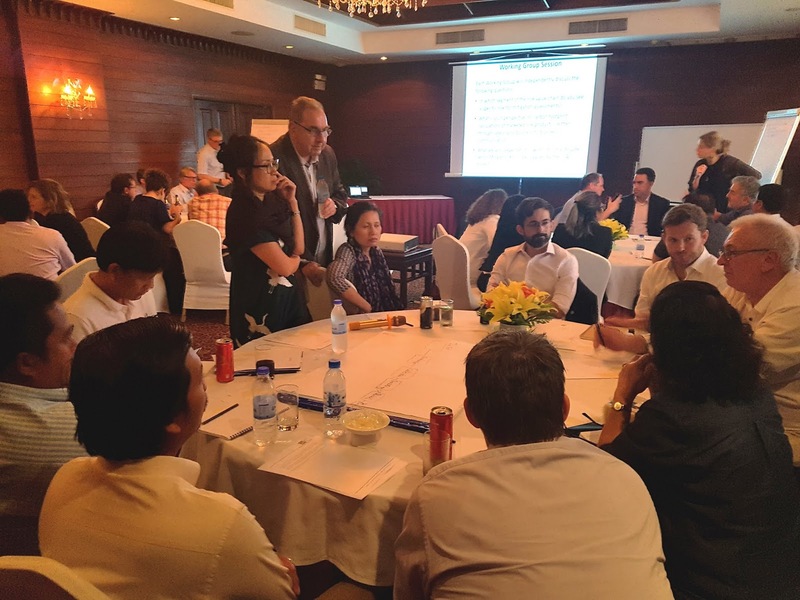 CAMBODIA—When talking of climate impacts on rice and mitigation measures, farmers, extension agents, and relevant government institutions usually come to mind. Now, the private sector is becoming more visible in the picture. A workshop jointly organized by the International Rice Research Institute (IRRI) and the UN Environment Programme highlighted the importance of involving the private sector in efforts to mitigate greenhouse gas (GHG) emissions in rice production. “The role of the private sector in promoting the practice of mitigation technologies is pivotal because they have distinct interests in ensuring that farmers implement certain practices. Also, they are actively working in almost all stages of the value chain and that cannot be overlooked,” says Dr. Bjoern Ole Sander, climate change scientist and IRRI Representative to Vietnam. 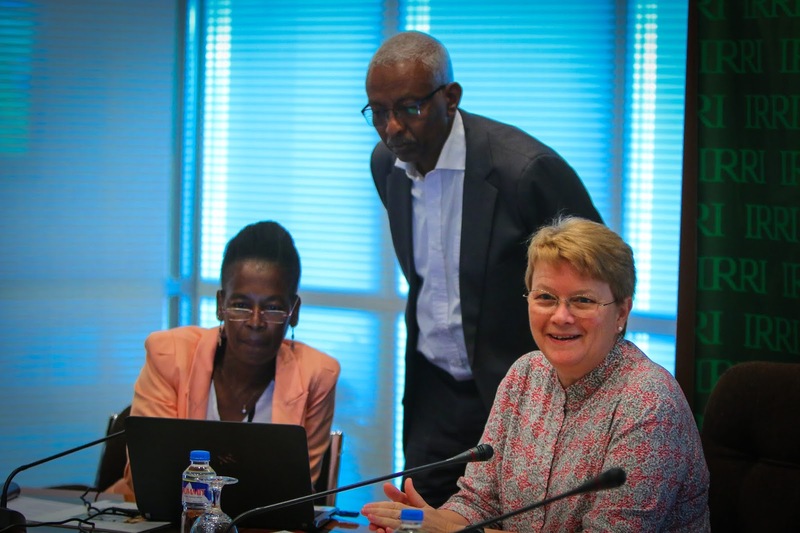 Working with advanced research institutes and national partners, IRRI aims to develop, adopt, and translate technologies to deliver environmentally sustainable benefits. 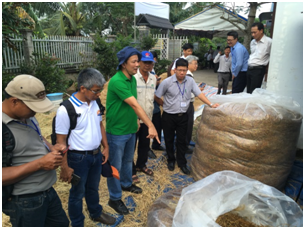 Funded by the Federal Ministry for Economic Cooperation and Development (BMZ) of the German government, the Sustainable Rice Straw Management project conducted a workshop and demonstration of sustainable rice straw management practices and technologies in Tien Giang Province, Vietnam. According to Dr. Bjoern Ole Sander, IRRI representative in Vietnam, the most important aspect of this project is the close collaboration between diverse partners from different countries. “To see the impact of adopting new technologies and to work in different countries is one of the interesting aspects of the project,” he added.